As the world has changed during the past 50 years, so has agriculture. And so has agricultural research, which continues to confront new challenges, from food security to ecological concerns to land use issues. Indeed, as Guy Paillotin, the former president of the French National Institute for Agricultural Research (INRA) has noted, agricultural research “has reached new heights in biology and is exploring other disciplines. It is forever changing, as are the needs of the society”.The changing challenges faced by agricultural research were examined in depth at a conference organised by the OECD’s Co-operative Research Programme on Biological Resource Management for Sustainable Agricultural Systems, together with the Czech Republic’s Ministry of Agriculture. Participants came from all agricultural sectors and included farmers, industry, scientists and decision makers, as well as other stake holders.This publication presents the twenty papers delivered at the conference. 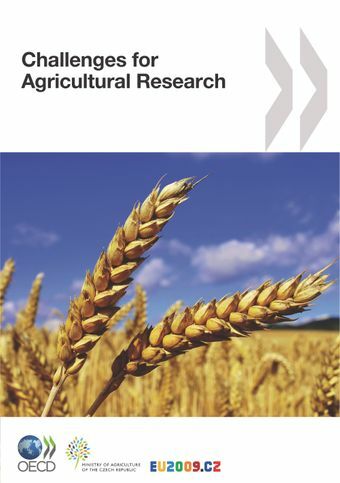 They highlight recent major progress in agricultural research outcomes and address the challenges that lie ahead. Food without Zoonotic Agents: Fact or Fiction? Altering Foods Derived from Animals for the Future?